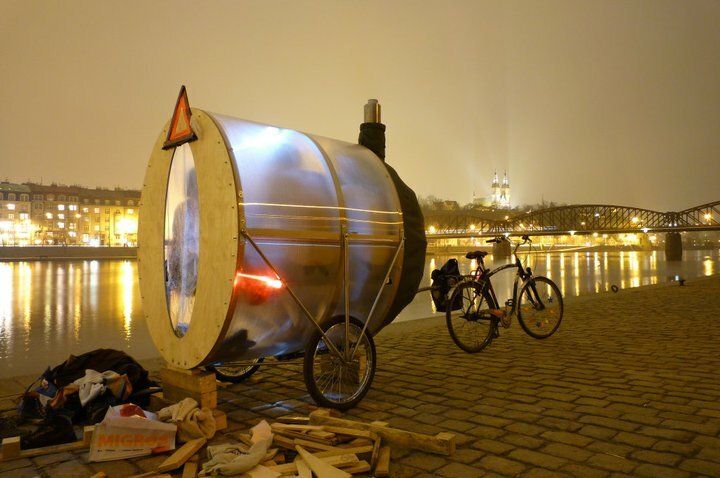 Fort A Day: A mobile sauna/cabin/fort on wheels- pulled by a BICYCLE! 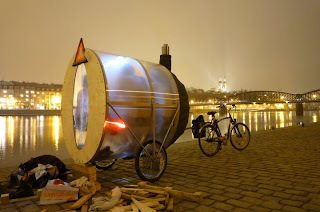 A mobile sauna/cabin/fort on wheels- pulled by a BICYCLE! 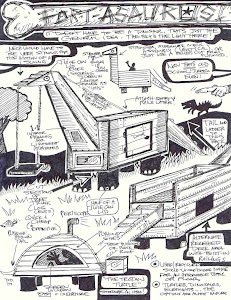 This one's a bicycle camper/trailer, but one functioning as a SAUNA (notice the sillouettes of many people within?). I'm sure its ultra light weight (to be pulled by a bike), and its shaped like a big fat bullet so that its somewhat aerodynamic. 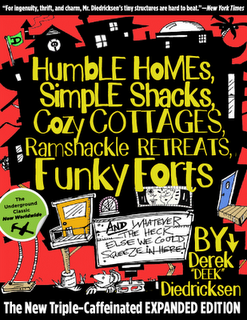 Very fun/unique! 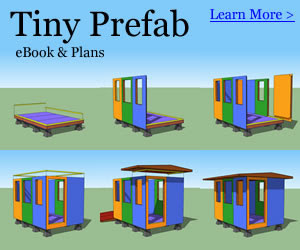 I'd imagine/guess that the back wall is made/cut from a single sheet of thick plywood- meaning, the whole structure is no wider than 4' If you look towards the front of the trailer, you'll notice a tiny little smoke stack, and the pile of burning wood on the ground outside.